Makkah, KSA, 13 December, 2018: Makkah Millennium Hotel, the luxury hotel serving the pilgrims coming to Makkah and located directly over the Holy Haram Piazza, has been consistently ranked one of the top two hotels in Makkah province in 2018 by TripAdvisor. Makkah Millennium Hotel was placed alternatively between Top One and Top Two best hotel among 670 Hotels in Makkah, KSA, based on thousands of positive reviews and opinions collected from TripAdvisor travellers worldwide. “The recognition would not be possible without the feedback from our guests, and the hard work of our team who constantly strive to offer our customers a memorable experience and this recognition proves that our hard work is translating into positive traveller reviews on TripAdvisor,” added Khayat. Makkah Millennium Hotel is the closest hotel to holy Haram situated in prime central location, directly over the Haram Piazza the most sacred Masjid in the world. Getting to the hotel is easy with King Abdul Aziz International Airport just one hour away by car. The luxury hotel boasts a spectacular entrance to this grand complex, which confers an opulent style to the hotel, along with seven panoramic elevators and five elegant restaurants. Main Makkah attractions are at the doorstep including the Kaaba, with other important Islamic holy sites less than five miles away. 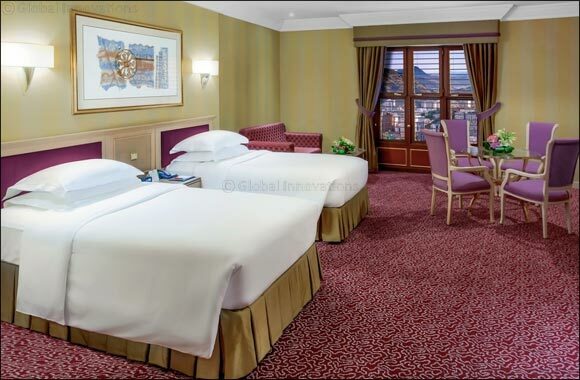 Guests and families also get to enjoy many unique features in genuine Arabian hospitality at Makkah Millennium Hotel and Towers including spacious 1,412 rooms and suites, multi-cuisine options, site recreational activities, entertainment and business facilities. “We will continue to offer our guests with luxurious high-quality services and take care of the finest details, making them feel like home while they perform their rituals in a hassle free spiritual journey”, concluded Khayat.